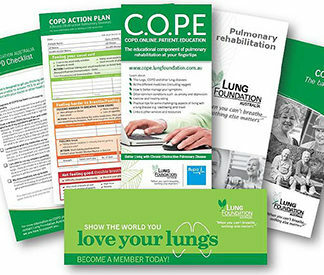 The COPD Information Pack has the most relevant information to patients and their carers just starting out on their COPD journey. 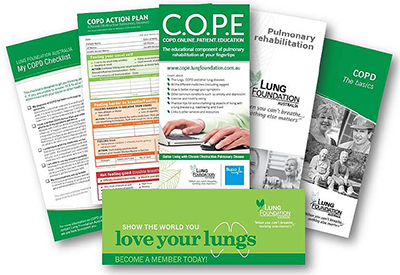 We have selected specific information to include so that people are informed of the essentials of COPD management but don’t feel overwhelmed. If provides an overview and directs people to the Lung Foundation Australia to access more information on specific topics. 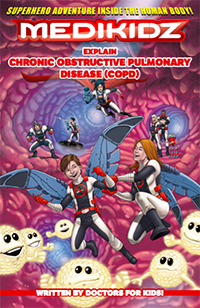 It also includes our new My COPD checklist, which is designed to assist people to best manage COPD. 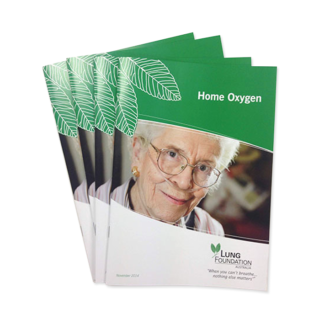 It poses a series of 10 questions across key areas such as spirometry, medicines, inhaler use and pulmonary rehabilitation. 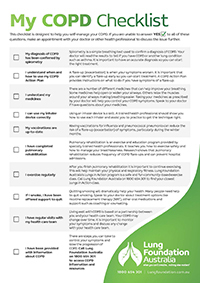 The checklist can be used by patients and their carers to uncover areas that may require more attention. 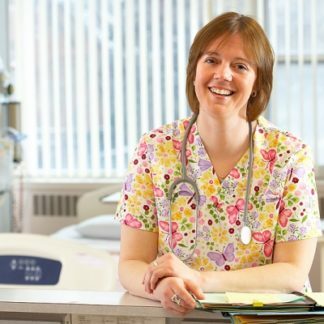 It is simple to use, with any answer of NO resulting in the advice to make an appointment with a doctor or other health professional.